How will my child experience a Children’s Journey process? Children from the age of five upwards usually respond well to the Journey work. They seem to have fewer defence mechanisms and their emotions are often more transitory and immediate. The Children’s Journey process is told as a magical fairy tale and it is very easy to engage a child in the fantasy. Their attention span is much shorter than an adults so the process is quicker and usually lasts for about an hour. 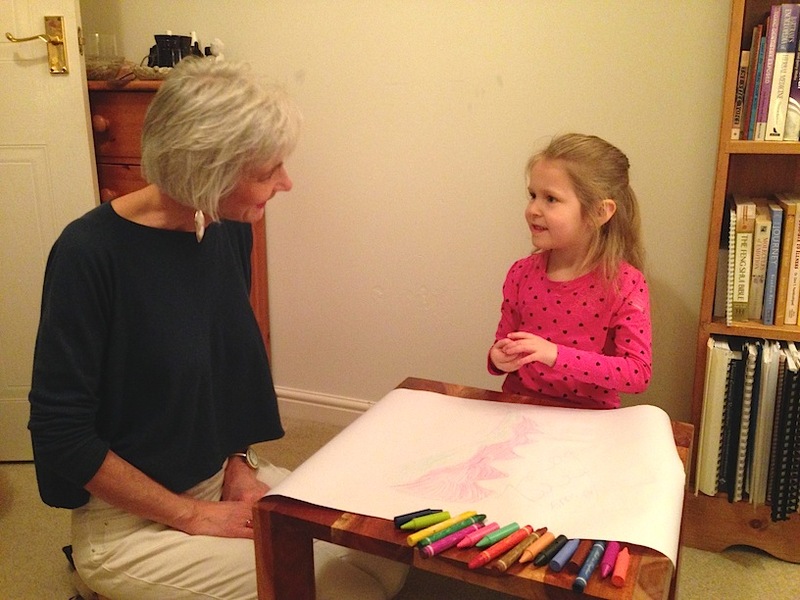 At the end of the process the child is encouraged to draw a picture of how they felt before the process and then another of how they felt afterwards. There is usually a significant difference between the two with the second picture reflecting that a shift has taken place. Children naturally have a vivid imagination and it is easy to incorporate their experience into the story. For example in one process I helped a 5 year old suffering from severe long standing constipation. During the process he said he saw Thomas the tank engine going down a tunnel and that Thomas needed to drop into a pond but the draw bridge couldn’t go up to let him drop. I simply asked the question “What is needed for the bridge to go up?” His answer was “peace and relaxation” So I suggested that he breathed in a breath of peace and relaxation. At the end of the process, he immediately went to the loo and the constipation was resolved. “My son has, from birth, had a pattern of stool withholding. Life became very difficult, as he could actually be restraining himself for up to 3 days. We continued with homeopathy, which sped things up for a week or so, whereupon he would gradually revert. Melissa was at this time training to do Brandon Bays Journey work, and kindly agreed to see whether my son would respond. After his first session, on 27.10.04 (age 5) despite refusing to close his eyes for the visualisations, it seemed as though a release had happened as he passed a motion each day until day 5 which was his first day at school. Although he took to school happily, it obviously took its toll, as he started to withhold again. After a second session with Melissa (10.11.04) he regularly passed a motion most days, only occasionally missing a day, and then not by intention.